Also known as "Zwanenburg". This was the command post of the commander of the Marine Flak Abteilung 810. He had four heavy AA-batteries under his command. The Royal Dutch Navy has used this complex until the 1980-ties as a communication center. The final demolition was completed in November 1985. 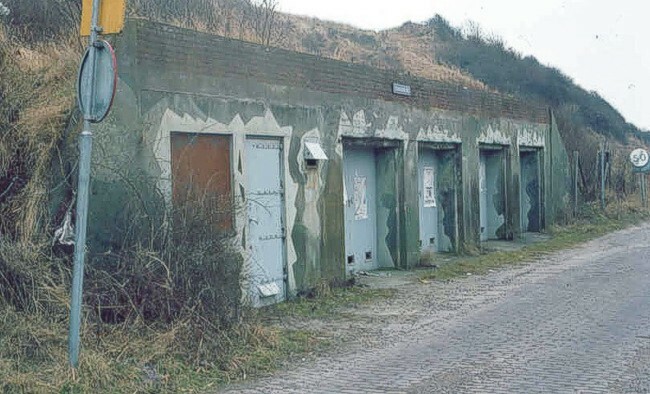 These garages are German built and Dutch Navy reused.